So I had to go to Chicago for my job. It was for training on new software and the class was going to last two weeks. I had the option to stay through the weekend in the middle or fly home and then fly back. Sounded like a great opportunity for Karen to fly up for the weekend and we could try all of those famous Chicago-style pizzas, so that’s what we opted for. By noon on Wednesday, though, I had determined this software training was an incredible waste of time. Three-fourths of the training was on software that my company hadn’t even bought and the virtual machine that I was assigned to do the lessons on did not work and after three days the instructor still hadn’t done anything about it, so I bailed on the class, called my boss, explained the situation and that I would work from the hotel room the rest of the week but my wife was flying up and we were going to stay through the weekend. The stupid things that big companies do never cease to amaze me – and I thought I had seen it all! On the first evening there, my work colleague and I went to Giordano’s on the recommendation from the front desk at the hotel. All I can say is that it was filling. This is not my idea of good pizza and I was sure Karen wouldn’t like it either, so I knew we could mark this one off the weekend pizza-binge list. Twenty or so years ago I had eaten at Chicago’s Pizzeria Uno and thought it was excellent so we made that our first night out the day Karen arrived. With much anticipation we had a beer at the bar while waiting for a table but were soon very disappointed. The pizza we were served was nothing like the amazing one I remembered from long ago or the very good one we both had at the Uno’s in Fort Worth only a couple of years ago. This is what Chicago is famous for? Really? There were still opportunities for this town to redeem itself from a terrible start so we turned our attention to breweries. Our first was Lunar Brewing in Villa Park. It is more of a neighborhood bar that happens to brew beer but the Total Eclipse Stout we both had was pretty good. The next brewery we found was Revolution Brewing. After several tastes Karen settled on the Mother of Exiles pilsner and I chose their Bean Gene robust porter with coffee. Neither was anything to get excited about. It was time to give pizza another try. After driving along the lakefront and dealing with lots of traffic, we settled on Lou Malnati’s Pizzeria on State street. 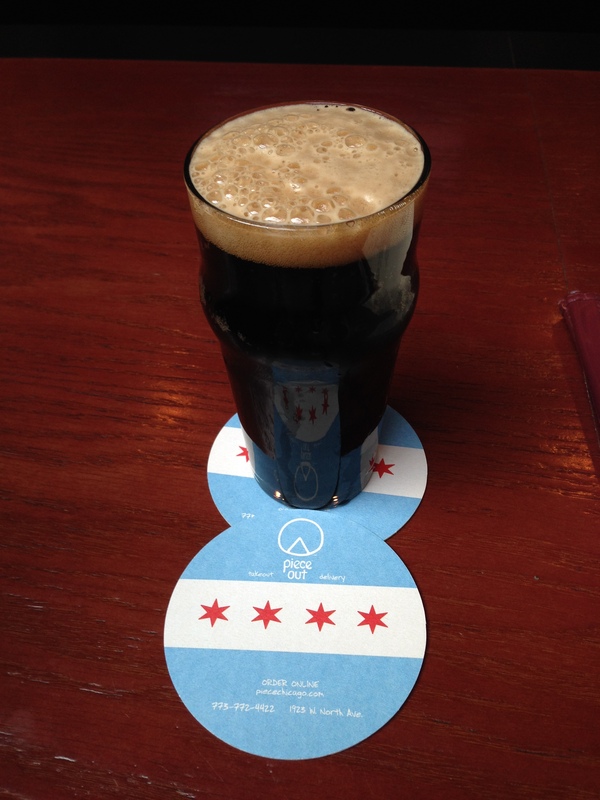 It was Friday night and crowded but the long yet reasonable wait for a table was buffered by the available bottled Poet oatmeal stout and the hopes of a pizza worthy of our anticipation. While it was the best deep-dish pizza we would have during this trip, it just didn’t hold up to our expectations or the really good thin crust Napoletana style pizzas that we really like. 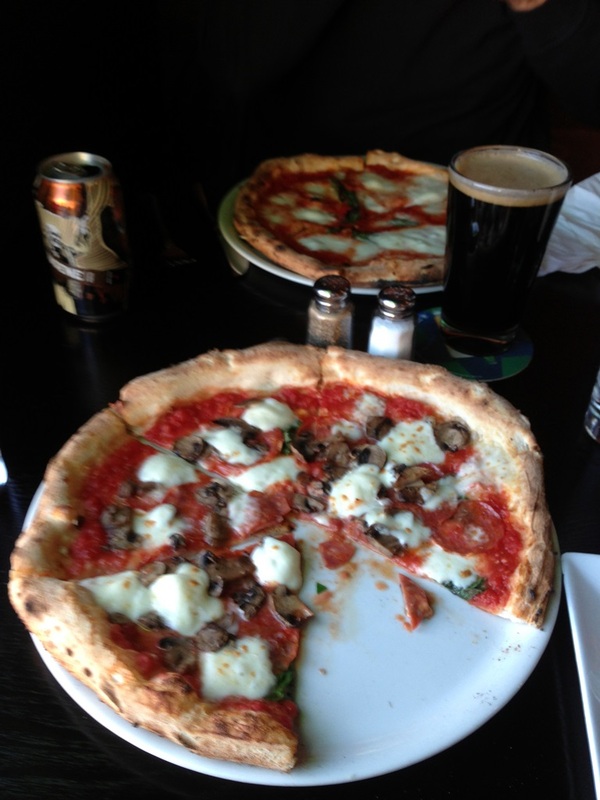 The next day we visited two more breweries, Half Acre Beer Company (Nordic Baltic Porter) and Atlas Brewing (Burnham Brown Rye Ale) but we were still looking for a better reason for having made the trip at all which led us to find Forno Rosso Pizzeria Napoletano. This might have been a great pizza if only they would have cooked it long enough, like we asked. Thin, gummy crust isn’t what we were looking for, either. This was quickly becoming one long weekend. Sunday was our last day to turn things around. We started at Piece Brewery and Pizzeria. Believe me, I was there only for the brewery but Karen couldn’t resist and ordered a pizza which was nothing special (about what you’d expect at the ball park) but their Flatiron Stout was very good, so I had another. 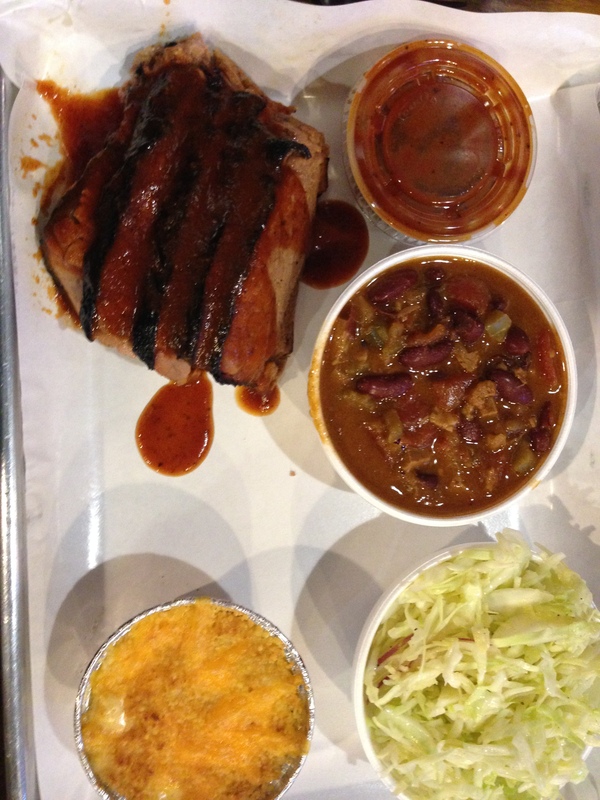 The highlight of the entire trip turned out to be Texas barbeque at Smoque BBQ. We learned about this place from Food Network’s Diners, Drive-ins and Dives and it was just as good as it looked on TV! 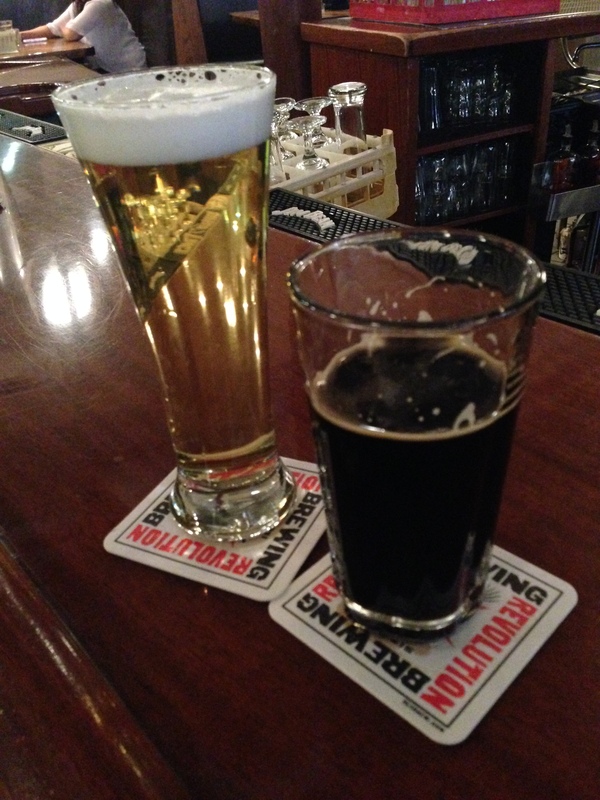 Google maps then took us to Lyons, Illinois, where we found BuckleDown Brewing. Karen had their Shady Aftermath robust porter and I had the Stompbox American imperial stout. Both were excellent! 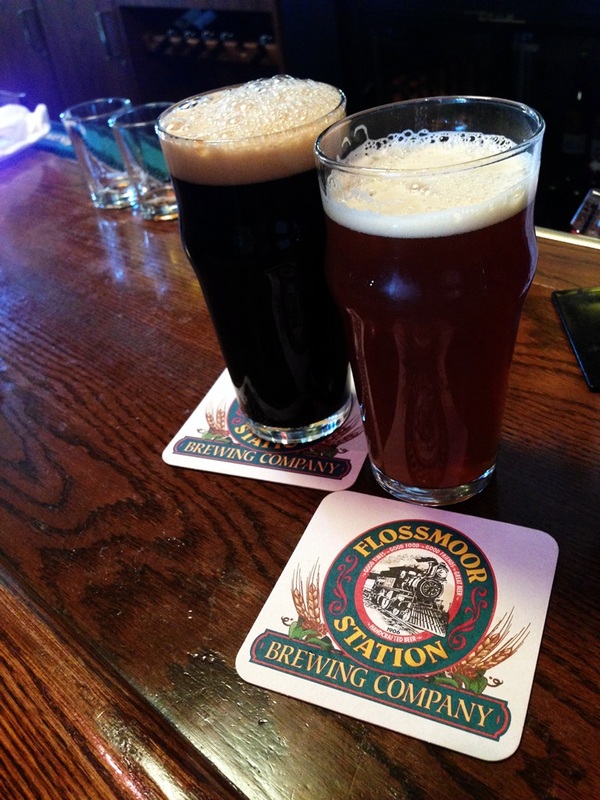 Continuing further out of the city, we found Flossmoor Station Brewering. 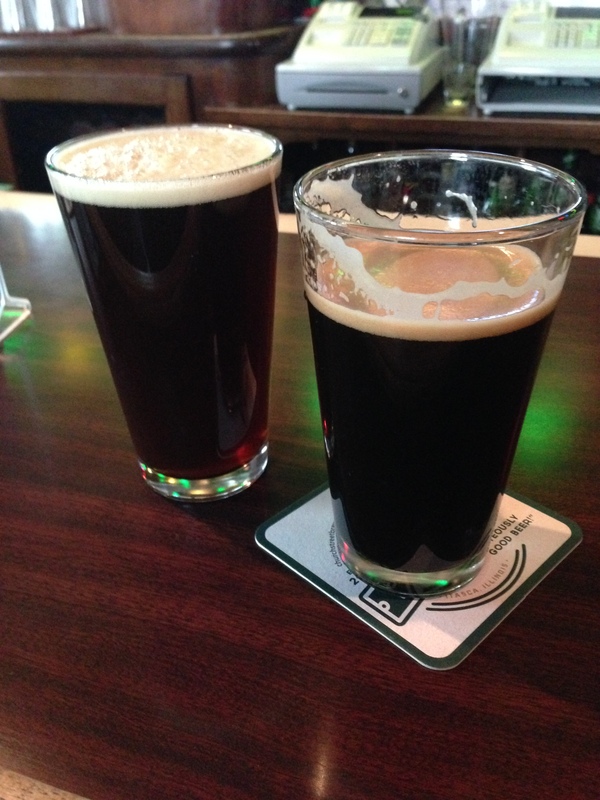 Between us we had their Pullman Brown, Iron Horse Stout and Panama Red Ale. Those and the conversation with the local we sat next to made for a great visit. Since our weekend was coming to a close and we had one more pizza on our to-do list, we headed back to Chicago and Vito & Nick’s Pizzeria. 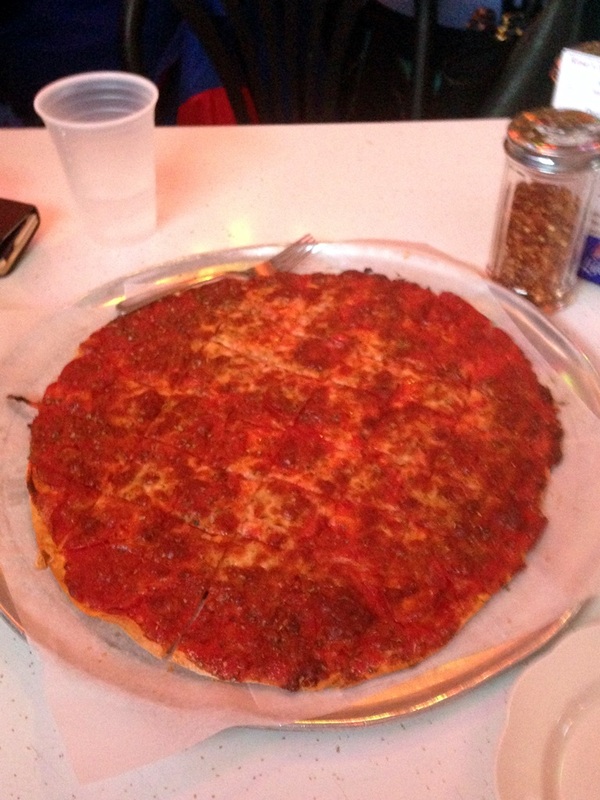 This was another find from Diner’s Drive-ins and Dives and their specialty is thin crust pizza, but considering all of our other Chicago pizzas this trip our expectations were set low … and those expectations were met. Yet another pizza that may be good for what it is, but not what we want in a food called “pizza”. All in all the trip was very disappointing and especially considering it was early April and still winter, we definitely could not live here. This entry was posted in Barbeque, Beer, Pizza. Bookmark the permalink. Thanks for the tip on the Pastorelli sauce. I found it on Amazon so we’ll give it a try. Karen and I hope to be hitting the road again soon and will be working our way to Colorado and beyond. Maybe our paths will cross some day. Until then, we will continue to enjoy your blog. Checking TripAdvisor I see number 1, 2, and 3 pizza restaurants are Chicago Pizza and Oven Grinder, Spacca Napoli, and Lou Malnati’s. 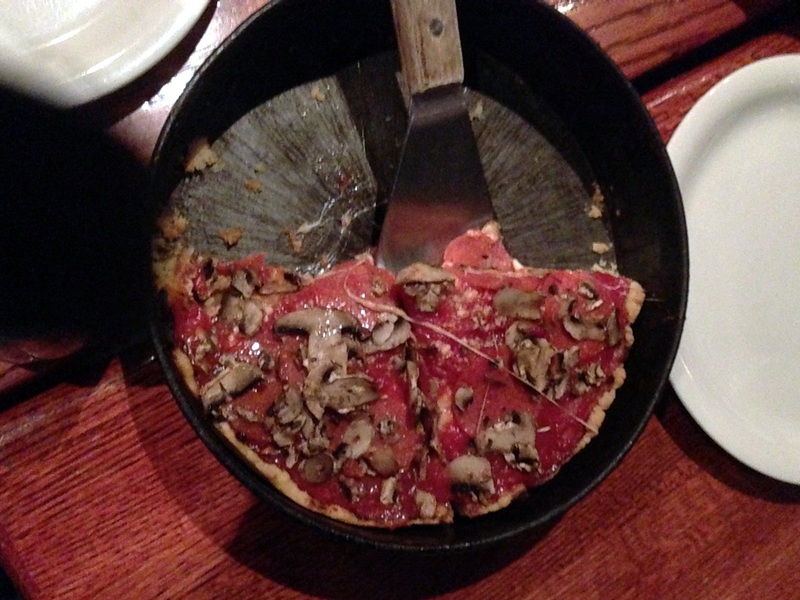 But if deep dish is the big thing there, I’m with you guys – I like a thinner crust. It’s too bad the pizza was a disappointment but sounds like a fun trip exploring. Thanks for the post! 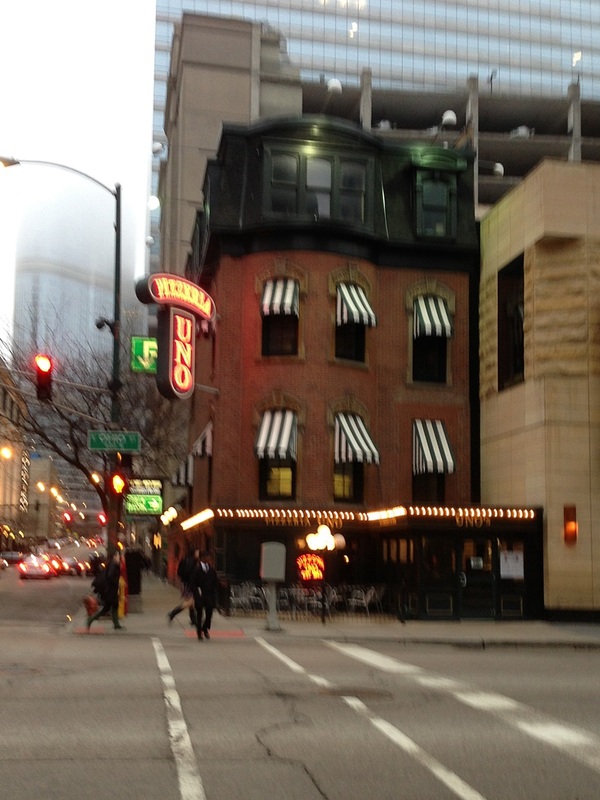 What was really disappointing was that I had eaten at both Uno’s and Lou Malnati’s in the past and neither matched up with my memory this time. Couldn’t be an issue with my … mmmmm, uh, what’s the word? Although we’re getting a late start this year, we are about to head out in the RV this week for points north and west. Stay tuned for old favorites and new discoveries of craft breweries and pizza (and barbecue and buses). We’ll spend time in Bend, Oregon, and the coast and plan to spend September in Colorado.